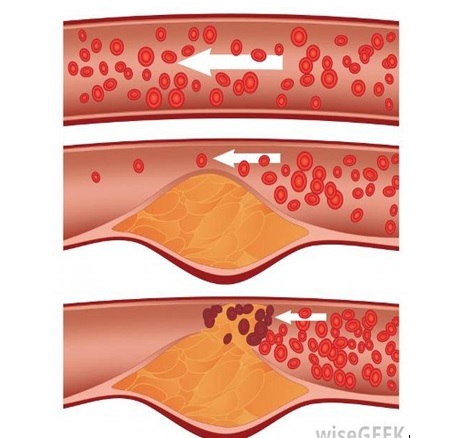 The above illustration shows what can happen with excess glucose and LDL/cholesterol in the blood stream and its effects on the Arterial vessels. When a individual does not participate in regular exercise the muscular system becomes eventually depleted and muscle tone is lost. The resulting effect is a lack of glucose and electrolyte nutrient supply to the nerves, muscles and bones. Circulation to that body part is diminished and the associated skin will then deteriorate which may form an unhealthy appearance along with the possibility of diabetic ulcers. High blood sugar, hyperglycemia or Diabetes can be controlled by understanding that in most cases hyperglycemia and hypoglycemia really comes from a loss of muscular tone in the musculoskeletal system. Lack of muscles means there is no place for the sugar to be stored. Here’s how it works. 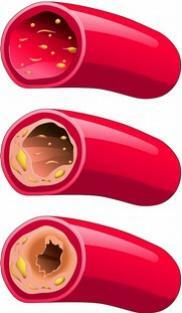 First, simple sugars are converted to Glycogen, and stored only in small amounts in the liver. The majority of Glycogen is stored in the musculoskeletal system. when the muscles get weak and lose muscular tone, there is Nowhere for glucose to go, so the blood then receives excess sugar deposits which is called hyperglycemia. As a result the nerves and muscles receive less sugar into their cells. Next, Insulin, which is secreted by the pancreas acts as the taxi cab that brings the glucose into the cells. However, in most cases of Diabetes, Chromiuim Picolinate supplements are effective in Re-Activating our own dormant Insulin. Chromiuim is a cofactor necessary for Insulin to be “alive”. The problem is chromiuim is missing from our diets and resulting in a wide population of people Sufferring from Inactive insulin levels. These disturbances in glucose levels are called Diabetes. In Type II Diabetes Mellitus, affecting mostly middle age to older age group, the body produces too much insulin causing Insulin reserves to become exhausted. Type II Diabetes is primarily caused by bad eating and drinking habits, obesity, lack of exercise and overall poor quality lifestyle awareness. The over-production of insulin in time will cause the pancreas to shut down. The majority of people have Type II diabetes. Insulin dependent Type I Diabetes affects mostly the younger age group. In this case, the body does not make enough of the hormone Insulin, which is needed for most tissues to be able to access and use glucose for short term energy, or for long term energy. This energy is stored as glycogen. Glycogen is stored mostly in the muscle and less in the liver tissues. The most important treatment to prevent or reverse the disease is to reduce excess body fat and rebuild the neuromuscular system. You must rebuild the neuromuscular system….Go to the gym! Learn about ‘Circuit Training’ which involves using light weights such as 5 to 10 pounds, and perform 5 sets of 10 to SLOWLY and CAREFULLY. Of further note, 15 minutes of chest fly extension and chest pull over will influence the stomach and its gastric acid contents to shift and move below the diaphragm. This in turn will allow easier digestion of the Cayenne element into the intestines and prevent gastric and esophageal reflux.